Former local authority Derry City Council's sign outside its headquarters on Strand Road. Derry City & Strabane District Council has begun implementing new safeguards in its procedures for awarding contracts following a “damning” external review into the processes of its predecessor’s Derry City Council. The new super council, however, admitted in response to concerns raised by Independent Councillor Gary Donnelly that a “weakness” has been identified in its own procurement procedures relating to a number of security contracts issued this year. The issue was raised after a new External Review was laid before the Council’s Assurance, Audit and Risk Committee at the Guildhall on Thursday night. The external review scrutinised the super council’s own internal probe into the now defunct Derry City Council’s awarding of stewarding/ security contracts, which itself followed complaints received by the Northern Ireland Audit Office. The new external review was conducted by Training and Consultancy Limited, and between them, the internal and external reports have highlighted a catalogue of absent documentation, lack of oversight and “significant weaknesses” around the former process for awarding security contracts. Introducing the report at the council meeting, David Nicholl, managing director from ‘On Board,’ branded many of the former procurement processes “shambolic,” adding that it has undoubtedly damaged the Council’s image. His colleague, Brian Baverstock, from On Board presented the report before the committee. Speaking about the Council’s previous internal probe, Mr Baverstock said there was “no doubt the investigation was hindered by gaps in procurement documentation,” and praised the council’s inhouse investigators for their work to try to fill in the blanks by interviewing relevant personnel. He concluded that On Board agreed that there was “no clear evidence relating to tender fixing,” but said that the gaps in documentation and other issues made it harder for the new council to unequivocally rebut the allegations made by two complainants. “Generally, we found the standard of evaluation papers to be poor”, he added. Mr Baverstock also warned that some of the early correspondence from the council “was somewhat inflammatory and probably aggravated the situation,” following the original complaint being made in November, 2014. He also said that the council was deemed to be at serious risk, particularly in terms of fraud, until recommendations - 39 in total and 30 of these deemed top priority - emerging from its own Systems Report, along with On Board’s own fresh recommendations, were implemented. Major weaknesses identified, he said, included the absence of Conflict of Interest Policy within the former council. He also urged the council to try and rebuild relationships and be open about its shortcomings. Sinn Fein Councillor Eric McGinley said it was important to remember that many of the findings from the Council’s internal Investigation and Systems Reports have already been actioned. Colr. McGinley also put forward a motion that the council explore avenues to seek redress against “malicious and vexatious complaints” made against its staff. The motion was carried at the meeting, and Colr. McGinley also further proposed that all documentation be checked for credibility going forward. 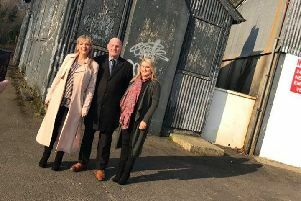 UUP Councillor, Derek Hussey, said it was important to remember that they were discussing “residual” and “legacy” issues that concerned the former Derry City Council and that this had no implications for the new council. In answer to questions raised by Independent Councillors, Paul Gallagher, Mr Baverstock said there had been no clear cut evidence of fraud. Independent Councillor Darren O’Reilly quizzed how On Board reached their conclusions that there was no fraud. Mr Baverstock responded that there were conditions that could have been conducive to fraud, but that there was no hard evidence fraud had occurred. Independent Councillor Gary Donnelly said the complainants were owed a debt of gratitude by the council for highlighting the extremely serious procurement issues and he questioned what happened with the absent documentation. Colr. Donnelly said there were those who had complained about steps taken by others to seek the truth, and suggested that those same people should now apologise. “If this external review document where to be submitted to the council from a community centre there’s no doubt funding would be withdrawn and we would be discussing its closure,” he maintained. Colr. Donnelly said he had previously tried to raise these matters but was over-ruled and told that this would have no bearing on the new council. He alleged that this was wrong on two occasions in relation to two contracts issued this year. Derry & Strabane Strategic Director, Stephen Gillespie, speaking on behalf of senior management, said while agreeing that the report was “damning” in relation to the procedures highlighted under old council, he claimed many of the recommendations outlined in the two reports were already being implemented by Derry City & Strabane District Council. He said they could “categorically” give assurances that the old procedures were not being taken forward in the new body. Mr Gillespie said that in relation to the two contracts issued this year, a systems weakness was picked up on by council officers and this was being dealt with internally. “The good news is that the systems now are working. We believe there is much improvement,” he said, while admitting that there was still work to do with regard to credibility.